Mariell's 7" vintage Rose Gold Cubic Zirconia bangle bracelet is plated in lustrous silver rhodium & has a safety clasp used in fine jewelry. With the breathtaking look of blush gold & diamonds, our 1/4" h heirloom wedding bracelet enhances any special occasion! This sophisticated vintage style Cubic Zirconia bangle bracelet by Mariell is a classic accessory that can be worn over and over. 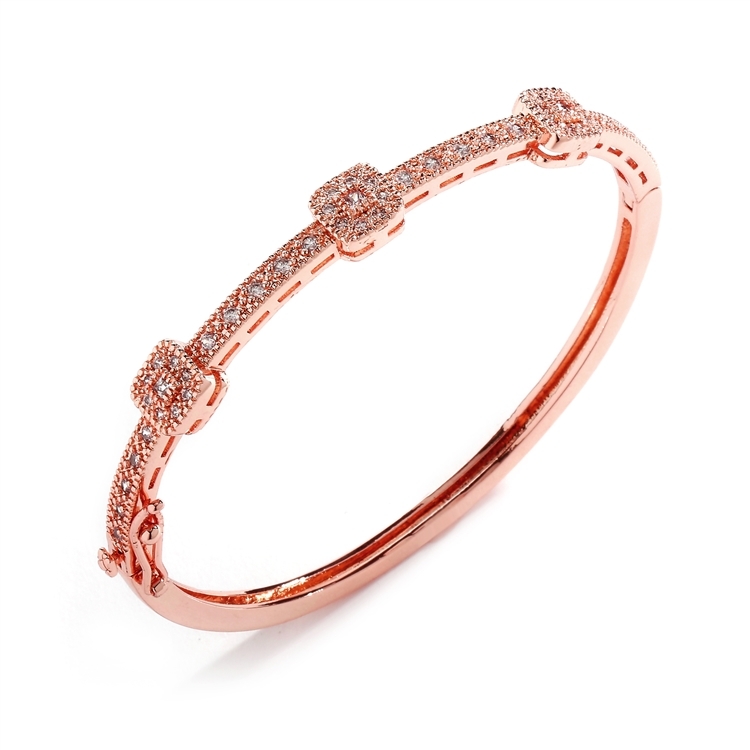 With its look of 14K rose gold and diamonds, this heirloom quality wholesale bridal bracelet is a must-have in every retailer's wholesale bracelet collection.